I’ve had cauliflower cheese on my mind for a while, but haven’t got around to make it simply because I’m getting bored from cooking the same recipes, even if I like it a lot. 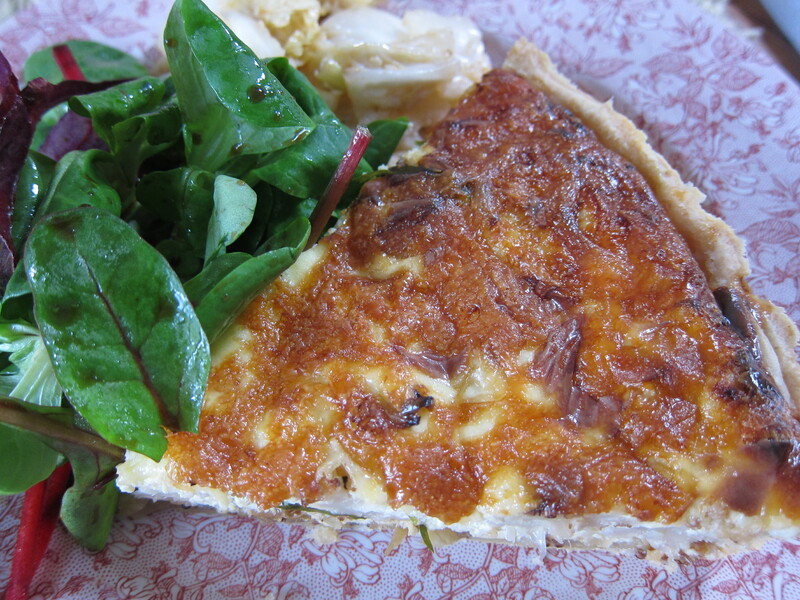 Most of the time I’m coming back to the same ‘repertoire’ when I’m either short on time or need some comfort food. On this occasion I had spare time and was up for trying something new. 1. Start with roasting the cauliflower florets in 3 tablespoons of olive oil, season with salt and pepper at 220C for about 40 minutes, turning halfway throughout cooking. 2. To make the pastry crumble together by hand the butter into the flour, add salt, mix in the egg and few tablespoons of cold water or milk to form a soft dough, make a ball and chill in a fridge for minimum 15 minutes. 3. Meanwhile cook the onions in a large flying pan with 2 tablespoons of olive oil on a moderate heat, for about 30 minutes or until onion is deep golden and caramelised. 4. Remove the pastry from the fridge, roll it up on a well floured surface, arrange it into the prepared buttered and floured flan dish or spring form tin. Preheat the oven to 180C. Meanwhile brush the inside of the pastry with whole grain mustard and layer over the caramelised onions followed by the cauliflower. 4. 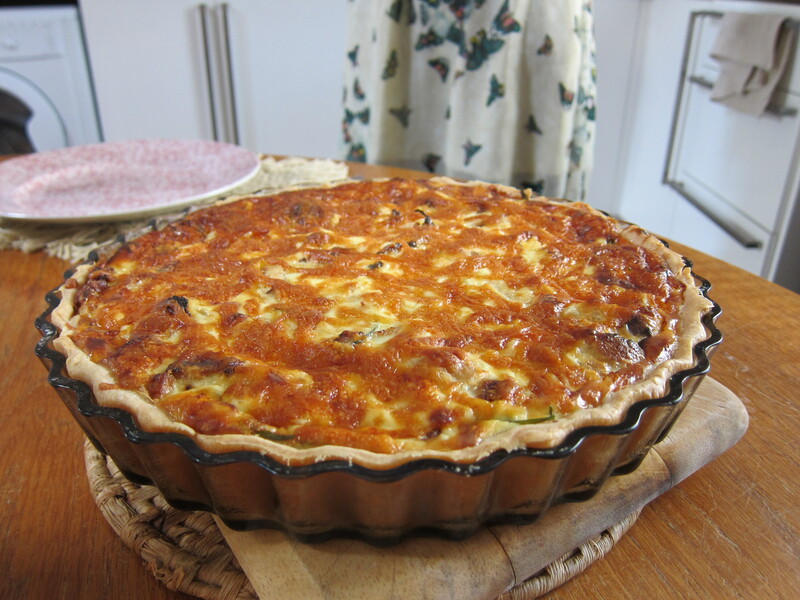 Whisk together the eggs, cream cheese and soured cream, stir in the grated cheese, leaving some for the topping, fresh herbs and season well with salt and pepper. 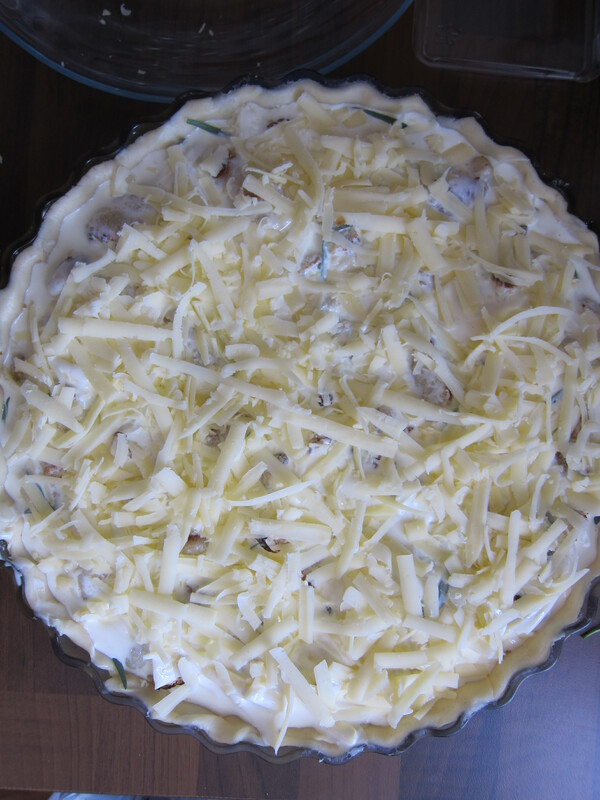 Pour the mixture over the tart filling and sprinkle with the rest of the cheese. 5. Bake in the oven (180C) for about 50 minutes until crust and topping are nicely golden. Leave it to cool 15 minutes before serving. 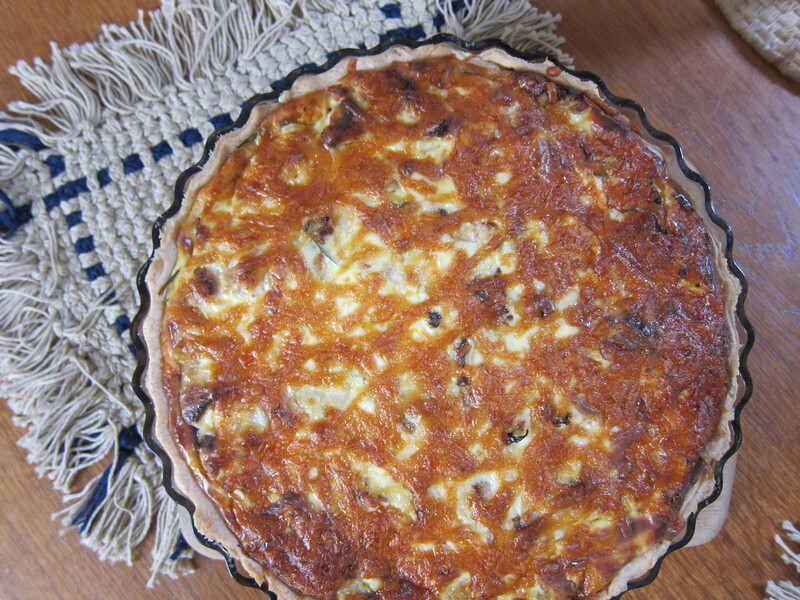 Serve with simple green or tomato salad, good for a picnic. 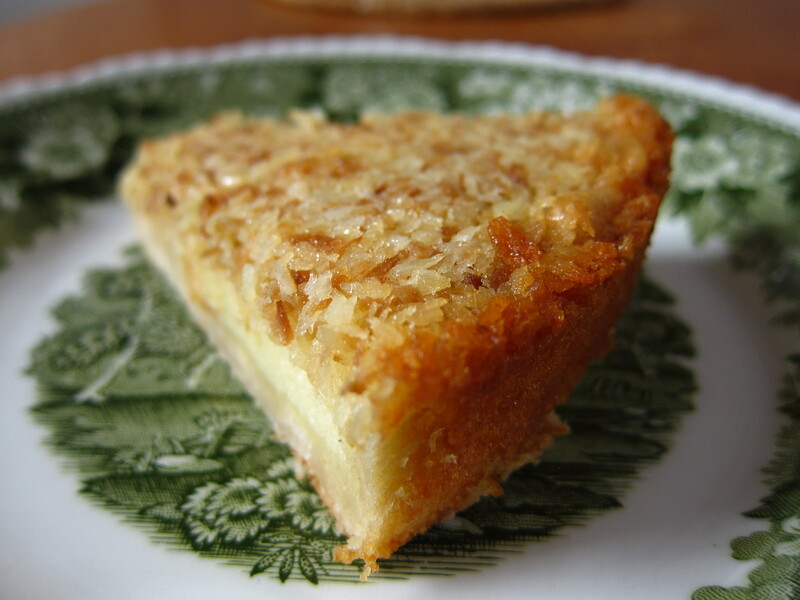 I had leftover short crust pastry that I’d used for the day before for another pie and I’ve also had a desire for something coconuty for a while, so I decided to combine these two together in a shape of Coconut pie. 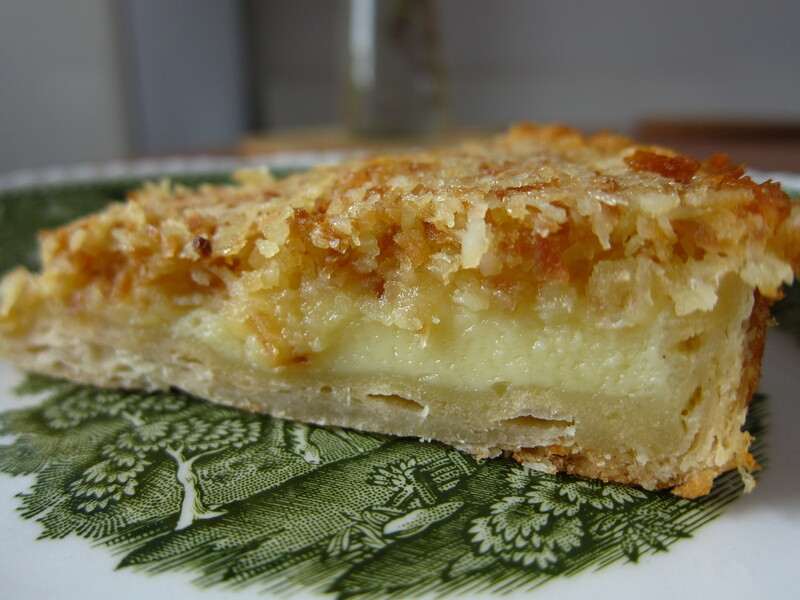 The result was very rewarding because not only I satisfied my cravings for the coconut, but this pie has also a very custardy flavour. So, if you are fan of custard and coconut, look no further then this recipe. Crumb together by hand the butter into the flour, add sugar, mix in the egg and few tablespoons of cold water or milk to form a soft dough. 1. Preheat the oven to 170C. 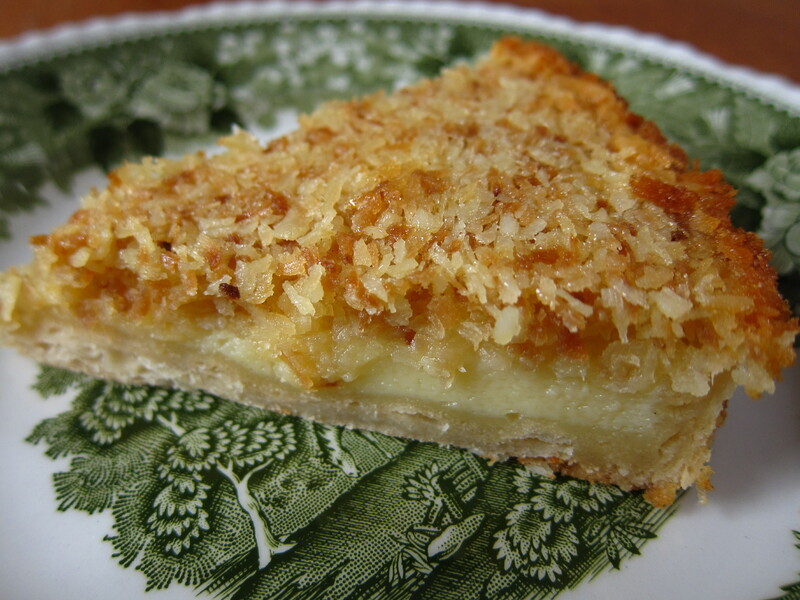 In a large bowl, combine melted butter, eggs, flour, sugar, coconut and milk. 2. 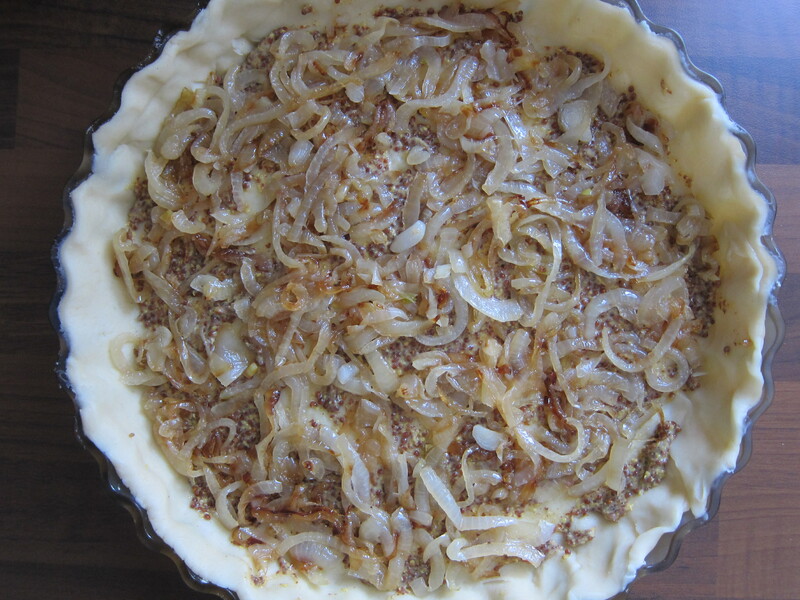 Pour mixture into prepared unbaked pie shell, carefully place it in an oven and bake for about 45-60 minutes or till it sets and spongy when you press it with your finger. 1. 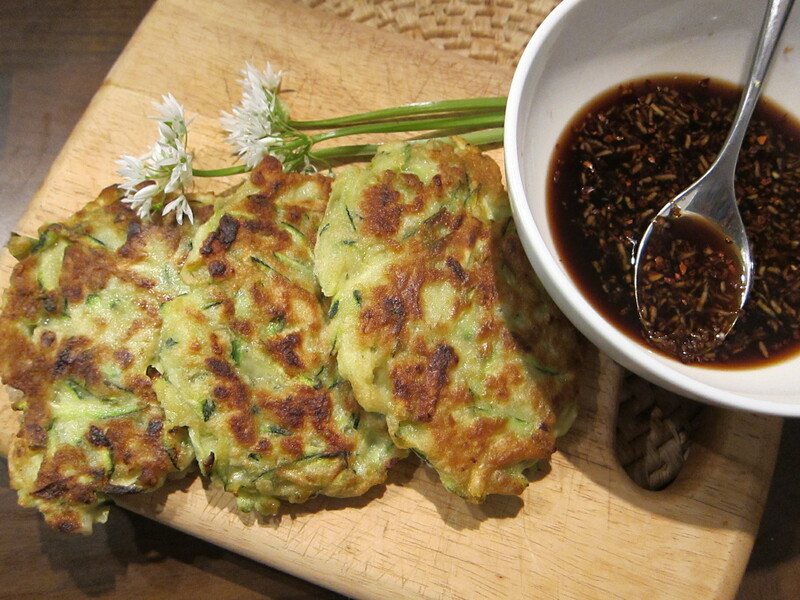 Mix the courgettes, spring onion, flour, eggs, salt, pepper together. 2. Heat 1 tablespoon of olive oil in a non-stick frying pan, drop in heaped tablespoon of batter. Cook in batches, for 2-3 minutes each side or until golden and cooked through. 3. Meanwhile mix together all ingredients for the sauce. Serve with the pancakes. 1. Heat the oil in a large saucepan and fry the onion, carrots, coriander seeds, pinch of chilli over a low heat for about 10 minutes or until softened but not burnt. Add the garlic and fry for 1 more minute. Add the ketchup, chopped tomatoes, bay leaf and sugar, simmer for a few minutes. 2. Rince red lentils and add into the pan, top up with the water (depends on consistency of soup you prefer, as for me, I like this version being quite thick), bring to the boil, then reduce the heat and continue to cook till lentils are ready. 3. Roughly chop the olives in halves, add them to the soup, add the vinegar, salt, pepper, check for seasoning and adjust it to your taste, garnish with chopped parsley. No, I didn’t make a mistake in a title, this pudding is the best of both worlds – it is a combination of cheesecake and crumble. 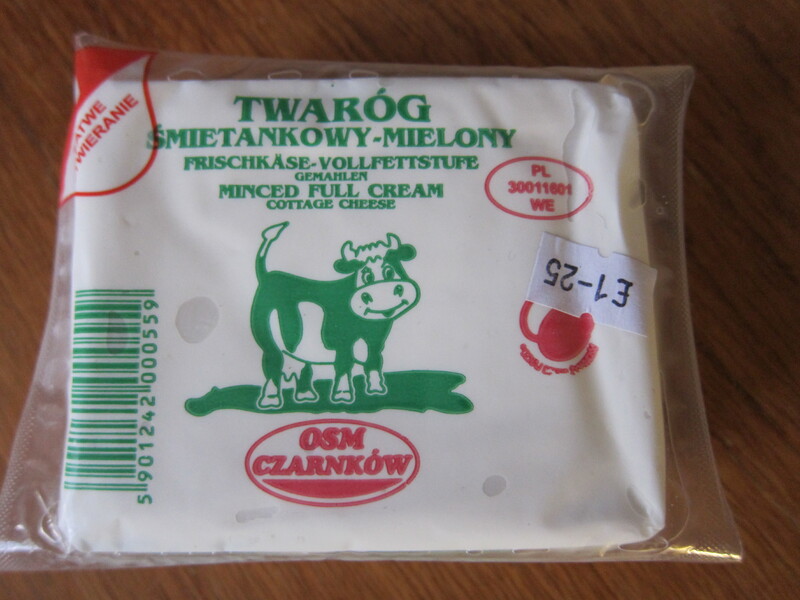 It is my Mum’s recipe, so it’s ultimate comfort food for me 🙂 As someone living outside their home country, now and then I really miss some products and for me this special ‘missing’ product is cottage cheese, which gives me a special boost and endless possibilities in cooking. 1. Preheat the oven to 200C. 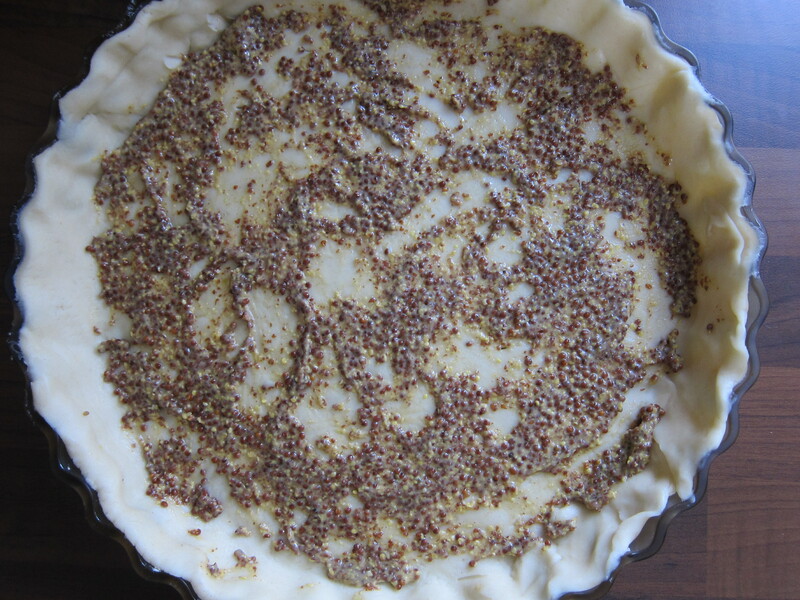 Butter the baking dish or spring-form tin and line with the parchment paper. 2. 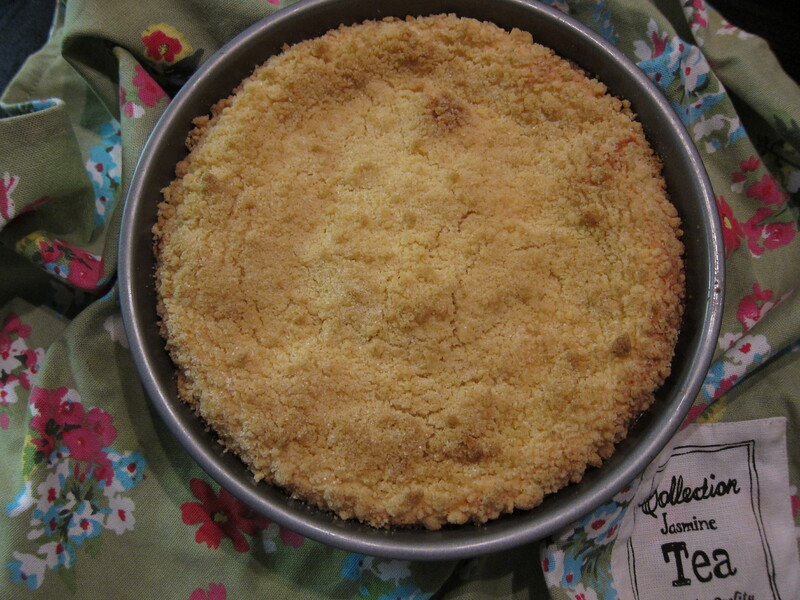 To make the crumble mix, place the flour, butter, sugar, baking powder and desiccated coconut in a bowl and mix it all with your fingers until it forms the crumbs (alternatively, use the food processor and pulse it for a few times). 3. In another bowl, beat together all ingredients for the cheesecake filling. 4. Place half of the crumble mixture on the bottom of the baking dish, making sure there are no gaps but do not press the crumble mixture to the bottom of the tin. 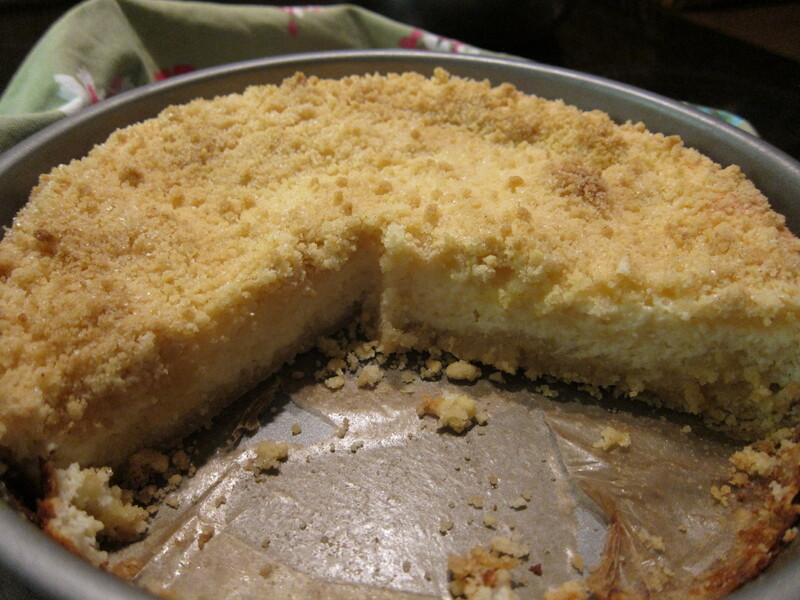 Then pour over the cheesecake mix and cover with the left overs of crumbs on top. 5. Bake it for 30-40 minutes, until it’s slightly golden on top. Serve hot or cold. … Well, you probably noticed that too, that people are getting more and more excited about going back to the basics and actually enjoy the benefit of foraging. I’m always up for it as well. What’s not to like? It’s free and you can’t get more organic than this. Foraging in Spring is very rewarding – garlic mustard, wood sorrel, dandelions, nettle, but my favourite of them all is wild garlic. If you happened to be somewhere in a woodland it won’t take a lot of effort to find wild garlic, as if it’s there you will smell it, and the smell will lead you to a plantation of it. It tends to grow in the woods, often near or among patches of bluebells. PLEASE BE CAREFUL avoid the lillies-of-the valley, which look very similar and always check with a reliable source before eating any unfamiliar wild plants. 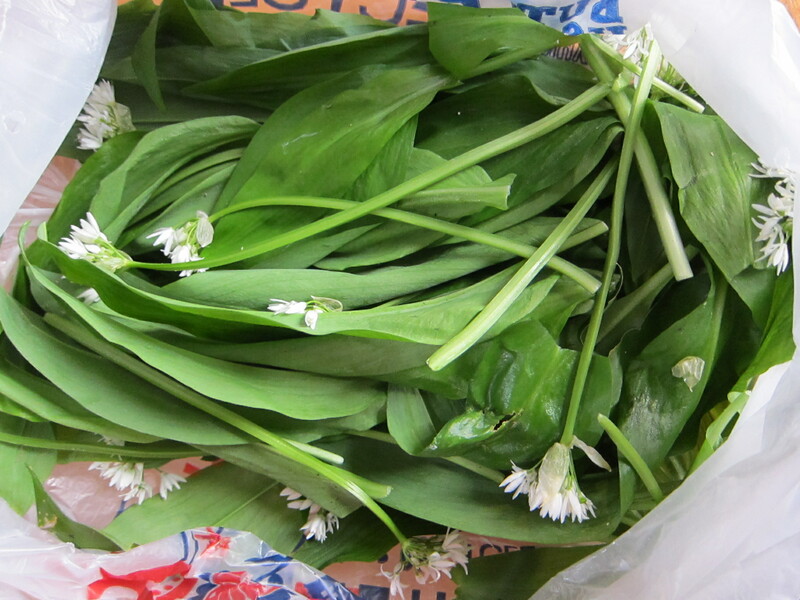 Wild garlic has many of health-giving properties and can be use in many recipes – soups, salads, pesto, adding into the stews and egg sandwiches. 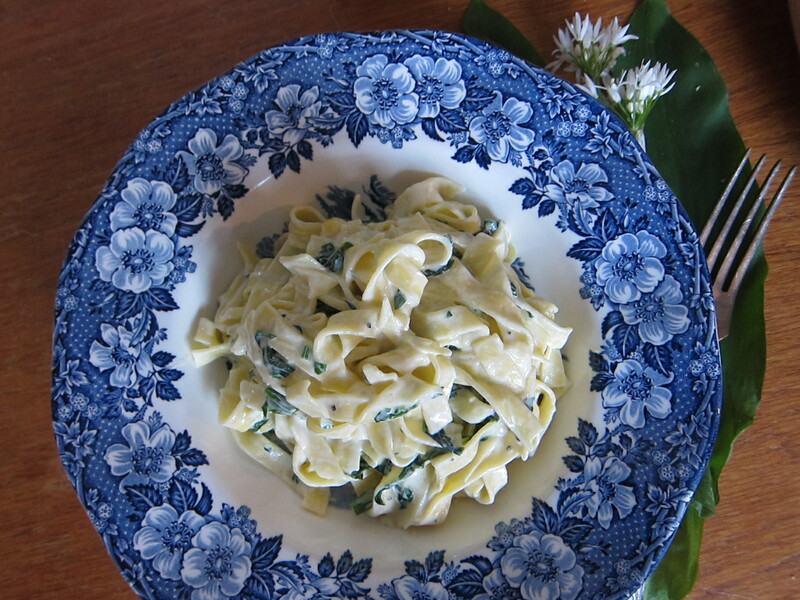 One of the recipe I turn to every year when we get our hands on wild garlic is simple pasta dish which requires only 3 ingredients but some time, like in this case, less is more. 1. Wash and dry the leaves of the wild garlic. Chop them coarsely. 2. Cook the tagliatelle in a salted water. 3. Meanwhile, heat the oil in a large frying pan, add the wild garlic, season with salt and pepper, stir until it stated to wilt and become soft. 4. When paste is done, drain it well, add to the pan with garlic, crumble the cheese on top and toss everything well together. 5. Serve the pasta with additional olive oil and crumble more cheese, if desired. 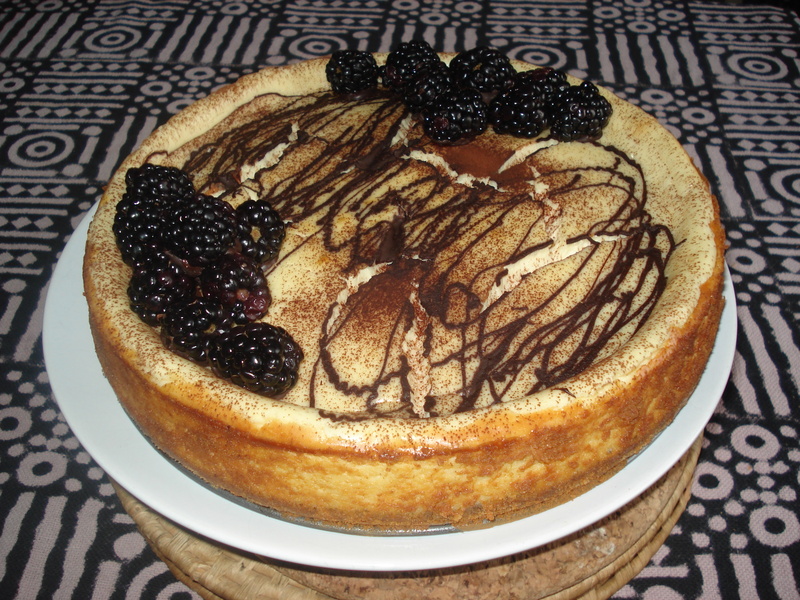 We’ve been making this cheesecake (originally adapted from the M. Berry’s recipe) in many different variations for the past few years. The reason for that is that texture of this cheesecake is so divine and silky, and the white chocolate is a perfect companion to the magnificent flavours of raspberries, strawberries, blueberries, passion fruit, mint,- the result never disappoints. However, this time we tried blackberry with drizzled dark chocolate on top for an extra alluring and visually stunning after-meal treat. 1. Preheat the oven to 160C. Grease and line the base of a 20cm spring-form cake tin with the non-stick paper. 2. Melt the butter and stir in the crushed biscuits, press evenly over the base of the prepared tin. Chill in the fridge. 3. Break and melt the white chocolate per a pan of hot water (do not allow the chocolate to become too hot! 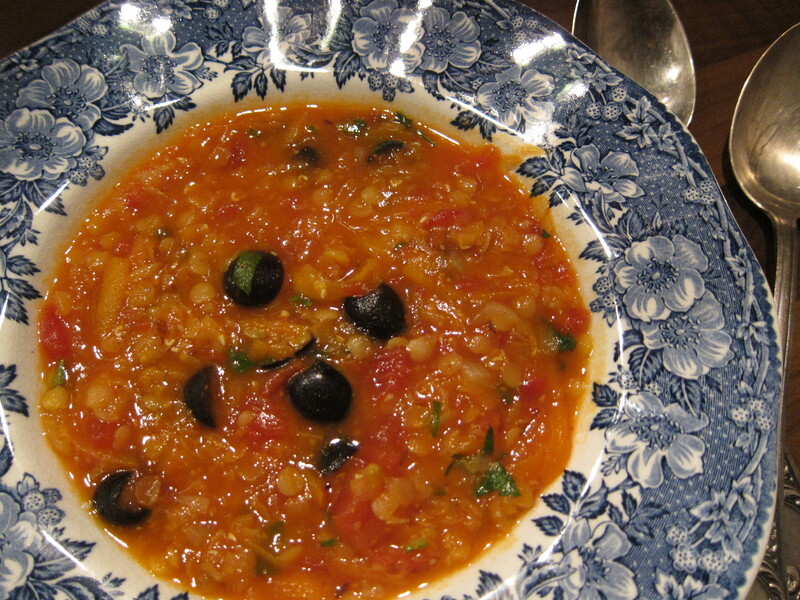 ), stirring occasionally with a spoon until runny and smooth. 4. Whisk the cream cheese and eggs together in a large bowl until smooth, then add the soured cream, vanilla and whisk again until completely smooth with no lumps. Stir in the melted chocolate and mix together. 5. 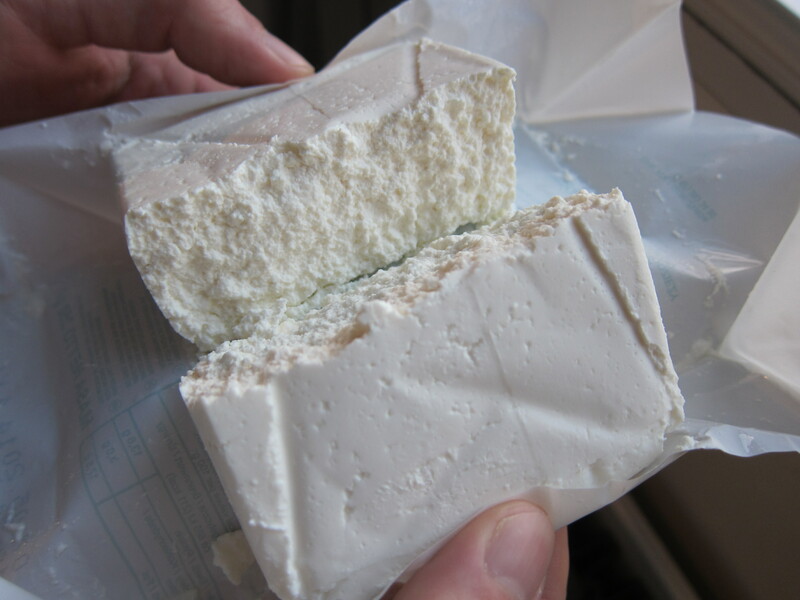 Pour this mixture into the tin and spread evenly over the chilled base. Bake in the preheated oven for about 45 minutes until firm around the edge and just set in the middle (the centre should wobble a little). Remove from the oven. Run a small palette knife around the edge of the tin and then allow to cool and chill without removing from the spring-form (this is to avoid a big cracks). 6. Remove the outside ring and lift the base on to a serving plate. Arrange blackberries on top and sprinkle over with the melted dark chocolate and dusting of cocoa powder. (!) 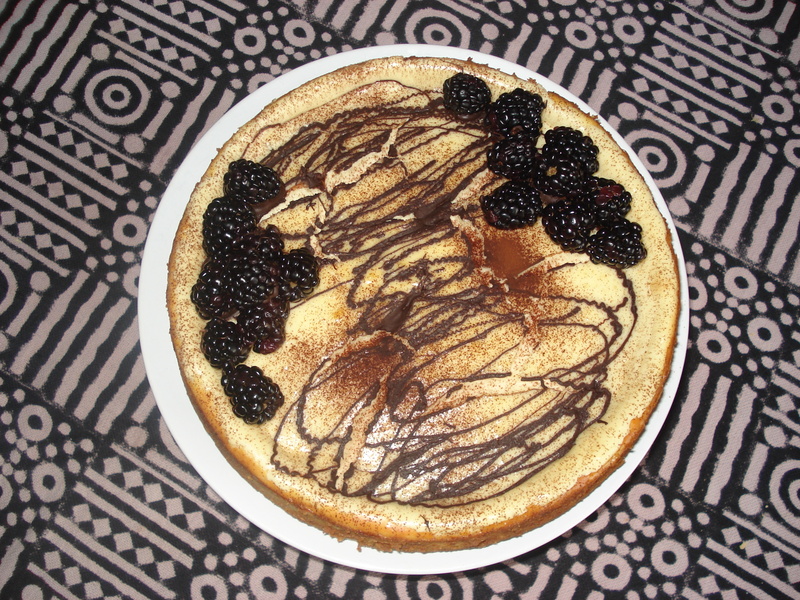 The surface of the baked cheesecake may crack slightly in the middle, but don’t worry, it is part of its charm! 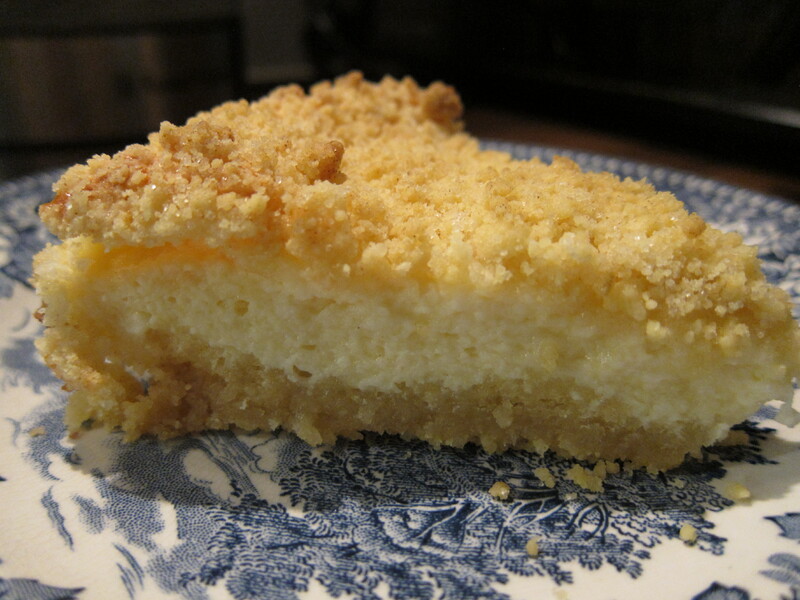 Serve very thin slices as this cheesecake is very rich, but so delicious!